Boston – The Boston office of Cresa recently announced that key project team members have been selected for the interior fit-out of the new global headquarters in Boston’s Seaport District for PTC, a global provider of technology. Cresa’s project management team will oversee the buildout and relocation. Margulies Perruzzi Architects was selected to provide architectural and interior design services for PTC’s new workplace, and Gilbane Building Company was named construction manager for the 250,000sf interior fit-out. The project is expected to be complete in early 2019 and is targeting LEED Gold. Developed by Skanska Development and designed by Boston-based CBT Architects, 121 Seaport is a 17-story, 400,000sf, Class A elliptical-shaped glass office building now under construction in Boston’s Innovation District. PTC will occupy the building’s top nine floors with direct access to the rooftop terrace and access to a common area with outdoor deck on the third floor. A design highlight of the new headquarters is its Customer Experience Center, an interactive showcase of PTC’s industrial innovation platform and related solutions. PTC is expected to house approximately 1,000 of the company’s 6,000 worldwide employees at 121 Seaport. Bala Consulting Engineers is providing mechanical, electrical, plumbing, and fire protection engineering plus tele, data, and security services, in addition to serving as the core and shell engineer for the entire 121 Seaport building. The project team also includes McNamara Salvia for structural engineering and CRJA-IBI Group for landscape design of the rooftop terrace. The MIT Center for Real Estate (MIT/CRE) was engaged as a research collaborator in the use of disruptive technologies. 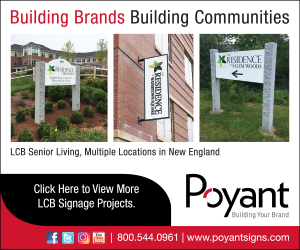 PTC’s relocation of its headquarters from Needham, Mass. to downtown Boston is a key part of its business transformation. The new headquarters will enhance PTC’s ability to attract and retain the talent required to maintain the company’s technology leadership position and will serve as a premier destination for visitors seeking to experience PTC technologies hands-on. As part of the design of a new physical work environment, PTC recognized the opportunity to meld its role as an innovator in software for product design, IoT, and Augmented Reality (AR) to make its headquarters a global model for excellence in the use of workplace technology. In order to best research, implement, and evaluate the use of workplace technology, PTC and the design team will collaborate with MIT/CRE on the technology aspects of the project. With a strong background in understanding disruptive technologies, MIT/CRE is well-positioned to help facilitate a conversation about the goals, opportunities, challenges, and processes for a variety of potential technological directions. After a collaborative team process, MIT/CRE provided recommendations and a roadmap for researching disruptive technologies to incorporate into PTC’s state-of-the-art headquarters.